The long history of tattooing has just been rewritten. 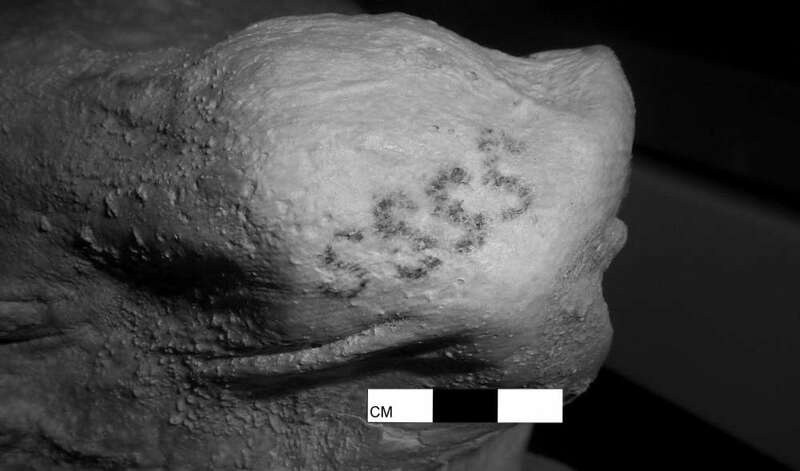 On two of the ancient Egyptian mummies housed at the British Museum in London, researchers have stumbled across what they think are the oldest figurative tattoos in the world. Dating back nearly 5,300 years, the discovery means that people were tattooing in Africa over a thousand years earlier than previously thought. A slightly overlapping wild bull and Barbary sheep – identified due to their popularity in Predynastic Egyptian art – can be found on the upper arm of the male mummy, known as Gebelein Man A, most likely used as symbols of power and virility. The female mummy, known as the Gebelein Woman, has a series of S-shaped symbols running down the shoulder, perhaps symbolizing status, bravery, mystical protection, and magical knowledge. The study of this pair of inked-up mummies was recently published in the Journal of Archaeological Science. New radiocarbon dating verifies that these mummies died at some time between 3,351 and 3,017 BCE. Both of the mummies were found near the ancient settlement of Gebelein in the predynastic period of Egypt, just before the first Pharaoh and the country’s unification.The bodies have been naturally preserved due to the hot and dry deserts sands without any embalming or special preservation techniques. The oldest tattoo belongs to Ötzi the Iceman, a man who died in the Ötztal Alps on the Austrian-Italian border somewhere between 3370 and 3100 BCE. However, crucially, Gebelein Man features tattoos that represent the form of something from real life, while Ötzi’s tattoos consist of simple dots and dashes. This means Gebelein Man has the earliest known figurative tattoos ever discovered. Not to be left out, Gebelein Woman is the earliest example of female tattooing ever discovered. Oddly enough, the two Egyptian mummies have been at the British Museum for almost 120 years yet their body art had gone unnoticed, despite the mummies being the subject of multiple studies and scans. 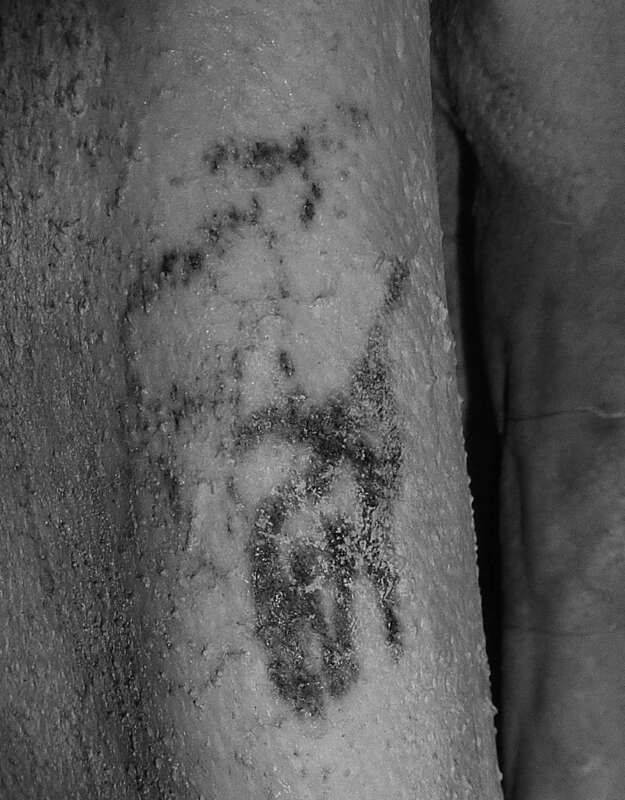 The tattoos appear as dark smudges under natural light, but new infrared photography revealed that the dark markings were actually tattoos, most likely tattooed by inserting soot into the dermis layer of the skin. “The use of the latest scientific methods, including CT scanning, radiocarbon dating, and infrared imaging, has transformed our understanding of the Gebelein mummies,” said Daniel Antoine, one of the lead authors of the research paper and the British Museum’s Curator of Physical Anthropology. “Only now are we gaining new insights into the lives of these remarkably preserved individuals."